Remember when New Year’s came early and the countdown on Swedish House Mafia’s website showed up? Well, our prayers have been answered as the clock came to zero and a new announcement appeared on their website homepage. The group must be sticking with the roots of their name and their home country. Sweden is the lucky winner because Swedish House Mafia announced that they will begin their new era playing at Stockholm’s Tele2 Arena on May 4, 2019. (This is important to note the European date, for any Americans out there who may not realize and make the trip out a month early). A press conference in Sweden let fans know that the tour would focus on new music from the group that was starting at their home base. You can register for pre-sale tickets here on their web page, as well as view the announcement. The most exciting part about Swedish House Mafia’s 2019 reunion and an expected world tour is that for the first time in a very long time, they will all be focused solely on the EDM supergroup, including new music. Though the press conference was in Swedish, this fine lad provided a brief summary of what was said. Now we all have an excuse to go to Sweden, for a show that will definitely sell out. 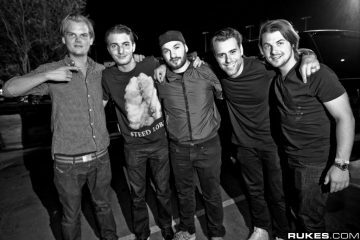 Any guesses to where else this EDM legendary group will reunite after? We can only guess in excitement and anticipation.